The internet has paved the way for a new economy through its sheer size and explosive growth. It has led to existing business paradigms evolving in their entirety. In today’s competitive world, it is essential for any business to have an online identity. There are numerous businesses, including small business and medium sized companies, which have witnessed success by opting for e-commerce. Whether you offer your services or products online or not, it is essential to establish your brand image online. Nowadays, when people hear about a company and are interested in it, the first thing they usually do is search for it online; if it doesn’t have an online presence, it won’t be considered seriously. A corporate website can enhance your company’s image among your customers. Market research indicates that around 67% of successful businesses have a website. Furthermore, about one-fourth of retail sales in 2012 were web influenced and the number has drastically increased since then. Customer retention is obviously something every business strives for. Good customer support is essential to retain your customers and increase customer satisfaction. 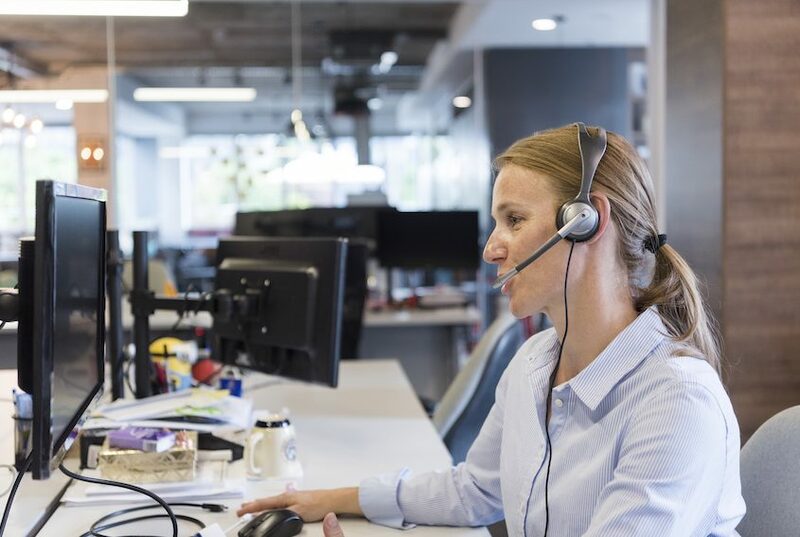 The internet has made it easier for all businesses to connect with their customers and provide better customer support. The more effective the customer service, the higher your sales and profitability will be. You can take any aspect or area of your business online, for example, procurement, shipping, billing, supply chain, etc. Reforming these processes through online systems will enable you to cut costs significantly. For example, you can decrease the cost of operation, repair, and maintenance by 5% if you adopt e-business solutions. You can make sales even when you are sleeping! This is possibly the biggest advantage of have a website as your shop is open 24/7 all year round. Your customers can buy your services and products whenever they want to. This provides convenience to your customers, especially in the chaotic lifestyle we have adopted today. They can make a purchase decision quickly if it is providing convenience for them. Your website works as an online catalogue or brochure too. It is super easy and quick to update all the latest information regarding your services and products on your website as compared to print material. It is an effective way of informing your customers about the latest happenings in your company, launch of a new product/service/outlet, special promotions and discounts, upcoming events, and any other information you want to provide your customers. Unlike print ads, your website will always stay current and updated. Aside from these five reasons, there are numerous other advantages of having a website for your business. It is much easier and cheaper to conduct business and even market your business online. It might require a bit of an effort at the start, but it is undoubtedly going to make a huge impact and enhance the success of your business. So, if you don’t already have a website, make one immediately and take your business to a whole new level. To succeed, every business needs to develop a good sales strategy. However, good marketing is not the end of the effort. Instead, businesses should leverage good marketing for further development i.e. for planning and implementing a strategy to successfully sell to their customers. A deliberate, thoughtful activity, successful sales requires a process that you initiate repeatedly. In short, successful sales isn’t possible without an effective sales strategy. So, how do you create an effective sales strategy and what sales strategies do you include in it? Without some planning and forethought, you cannot have a successful sales campaign. Before anything else, you need to list down the goals for your sales campaign. Once you’ve done that, set the parameters for your campaign i.e. how much you’ll spend on materials, which sales channels you’ll use, what special offers would you have during the course of the campaign and how long the campaign will run. Be specific when setting your goals. A good thing to do would be setting the main goal and a stretch goal. For example, if your main goal is selling three thousand units of a product then your stretch goal could be selling five thousand units of the same product. Once you know your target, you will have a good idea of how long it’ll take for you to reach your goals. Moreover, you will have a good idea of how much money you should be ideally spending on your campaign. Businesses have to choose from two basic types of sales strategies: direct and indirect. If you go for a direct sales strategy, you will have to fight your competitors head on to win customers. Businesses using this strategy talk about each feature of the competitor’s product and then compare it to theirs. This is the reason a direct sales strategy is often referred to as ‘negative selling’. On the other hand, an indirect sales strategy involves the use of more subtle techniques to win customers and make sales. Unlike the businesses using a direct sales strategy, businesses using an indirect sales approach demonstrate/promote features and benefits not offered by their competitors. An indirect sales strategy requires a lot of research and analysis to be successful. Once you’ve set the parameters for your sales campaign, you need to think about how you can motivate your sales team to make the campaign successful. Even the best-planned campaign will fail if you don’t have a motivated sales team. Offering extra compensation to the sales team can help you to make your sales campaigns successful. Of course, the easiest and probably the best way to motivate salespeople is by offering a cash bonus. For example, if the purpose of a sales campaign is to promote and sell more of a particular -product then a good strategy would be offering the sales team double commission for successfully selling that product. Another strategy that could work well is setting up a contest where you offer the salesperson selling the most units of the new product a big bonus. If you’re short on cash, then you can offer some non-monetary rewards such as certificates and medals. Your sales success depends on how well you know your target market. You won’t be doing business with everyone. And even if you were, you’d have to start somewhere. To build up momentum in your sales campaign, you need to have a specific target area or market. This is the area or market you need to focus on. It is important that your target market is big enough. Your odds of success will decrease if your target market is too small. To have the numbers working in your favor, you may have to combine two similar target markets. The ease to launch an online store has significantly increased the number of businesses competing against each other online. Having a winning sales strategy is extremely important for businesses wanting to boost sales and achieve customer success. To smooth out the bumps and make revenues incredibly predictable, you need to have a strategic plan to increase sales. Even a slight increase in sales will allow you to experience downstream benefits. So, having the right sales strategy in place is crucial. Contrary to popular belief, you don’t need to spend excessive amounts of money to increase your sales and grow your business. There are some affordable yet effective sales strategies that you can use to trigger increased sales and business growth. Do you sell countless products or services on your website? If yes, then it’s recommended that you revisit this sales strategy of yours. According to the experts, the fewer products you have in one place, the more likely you are to make a sale. Though, it’s crucial that you use the additional space available to you to describe the products in more detail. 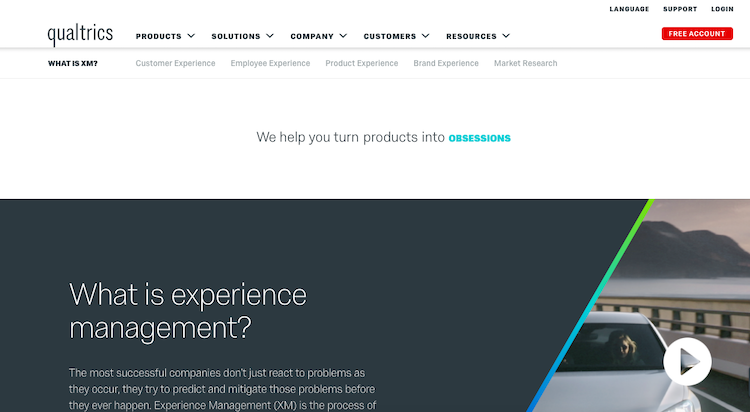 Kissmetrics outlines this situation perfectly in their article https://blog.kissmetrics.com/too-many-choices/ “Are you losing sales by giving customers too many choices”. The aforementioned- strategy is all about focus. Rather than offering a large range of products with little detail about each product to please every visitor to your site, you choose to offer one product with more detail about it to remove the doubts of your most valuable visitors and convince them to buy your product. Now, this does not mean that you stop selling your other products. You can always use follow up offers or the other web pages to offer them to your customers. However, to be 100% sure that this strategy will work with your target audience, you need to test it. Only after testing will you know whether offering a single product or service on your home page is an effective sales strategy. Ad-extension is a no-brainer if you’re selling stuff online. Available in both Bing and AdWords, this feature ‘extends’ your ad and give people more options to click. Without costing you anything extra, ad-extension increases the click-through rate of your ad. Isn’t that amazing? Following is an example that’ll help you understand this better. In the aforementioned-example, people looking to buy a new pair of Ray-Ban have two places other than the main link to click on. The two-additional links are ‘Men’s sunglasses’ and ‘Women’s sunglasses’. By saving them a step, the additional links make it faster and easier for potential customers to find exactly what they want. This in turn prevents them from going to a competitor’s site. In the end, this increases your chances of making a successful sale, making the use of ad -extensions one of the best sales strategies. See also:7 Sales Strategy Templates You Wish You Had Earlier! A sales strategy that many businesses have used to considerable success is selling products and services as a package rather than individual offerings. Most people equate bundled services or products with savings, even if the savings are minimal. So, by offering your services or products as a package, you will make it easier for yourself to sell. Now, when you package your services and/or products, make sure your bundle offerings are flexible. A potential customer may not buy a bundle you’re offering if he or she feels that only two of the five services/products offered in the bundle apply to his or her business. You will be able to use this sales strategy successfully if you stay flexible enough to change different products or services to align with multiple needs. In the business world, who you know is more important than what you know. If you want to taste success then you must build the right relationships, both online and offline. Regardless of which industry you belong to or what type of product you sell, you will find like-minded businesses out there and these businesses are who you need to befriend. Build a relationship with businesses that are closely aligned to you but aren’t your direct competitors. Some examples are bloggers, suppliers, industry experts. By building relationships with the above, you will get the word out about your business and this will increase your chances of making successful sales. 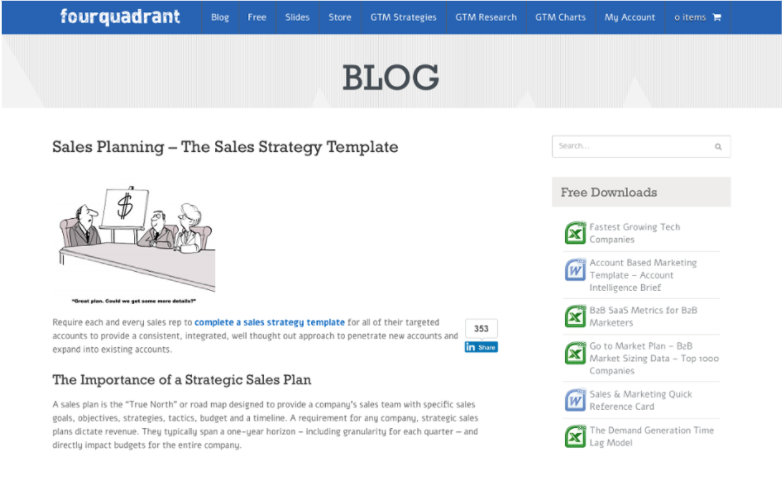 7 Sales Strategy Templates You Wish You Had Earlier! Sales. The single stat that so many companies strive to maximize. The one thing that gets nearly 6.5 million people up in the morning and keeps them up at night. Probably the main reason that you yourself are reading this sales strategy template blog right now. Identify who you can upsell to, faster and easier. Request a FREE demo today! 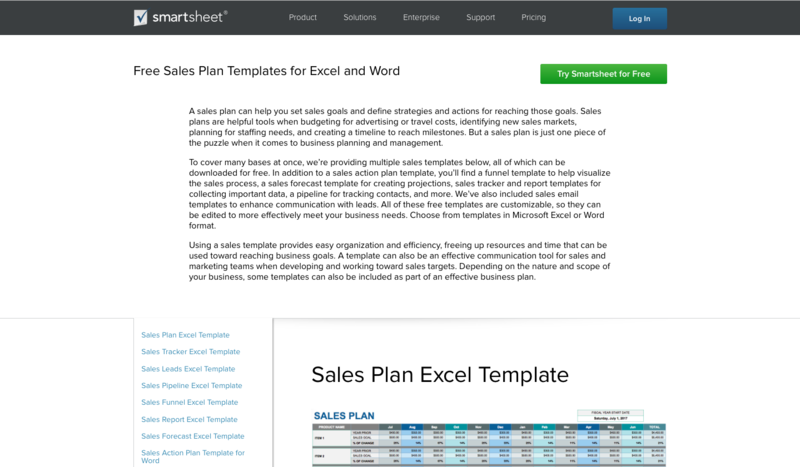 Here are 7 Sales Strategy Templates you Need to Start Using NOW! HubSpot has 21K+ customers across 90+ countries and 3.4K+ agency partners. It has been recognized as a Leader in G2 Crowd’s Spring 2017 Grid for Marketing Automation and the Best CRM in CMS Critic Awards. Includes an extensive guide, tips, examples, and case studies. 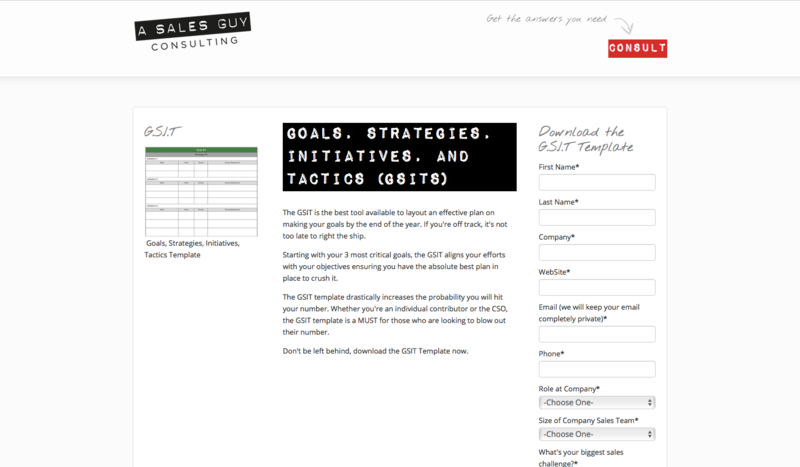 The Sales Strategy Template section provides some explanations and headings that describe what areas to consider. The explanations under each heading are quite good, but they would be even better if paired with samples of what you could write. Jim Keenan, founder of A Sales Guy, helped a Digital Marketing and SEO company increase sales by 300% and unveil a new product within 3 months. He has been recognized by the Top Sales World Magazine as a Top 50 Sales and Marketing Influencer and by OpenView Labs as a Top 25 Sales Influencer. He is a blog writer for Forbes and author at OpenView Labs. A Sales Guy now has clients across the globe and has collaborated with HubSpot on a research report on The Impact of Social Media on Sales Quota and Corporate Revenue. 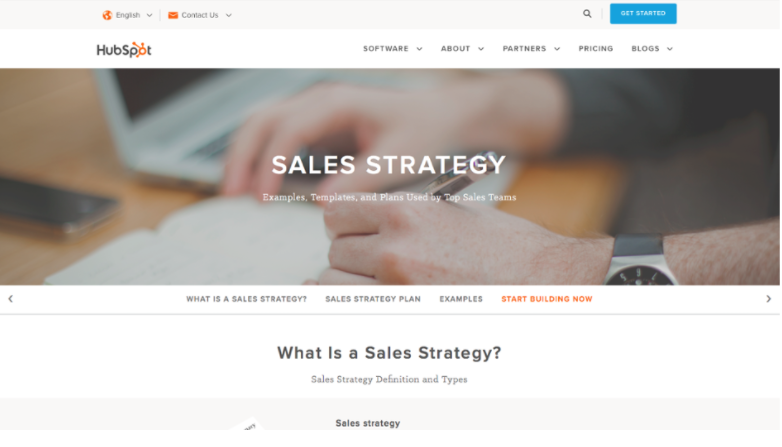 Not only does it give a sales strategy template, but also includes a blog with tips and instructions. Fortune 1000 startups and companies have tested and validated this template. Peter J. Buscemi, the author of the blog, is the Founder, Technology Marketing Executive, VP of Marketing, VP of Field Marketing, and VP of Market Development at Four Quadrant. He is also an advisor for startups, consultant for c-level executives, and Adjunct Professor in the Executive MBA Program at the University of San Francisco. He possesses 25 years of entrepreneurial experience and classical training at Fortune 500 companies (Apple, Oracle, HP) and startups and has helped technological innovations generate millions in revenue. He has worked in influencer and analyst relations, go-to-market strategy and execution, sales and marketing leadership, customer acquisition and retention, product development, and brand positioning and identity. Four Quadrant offers marketing resources and advice for go to market plans. Ryan Robinson is a Content Marketing Consultant to leading startups and experts across the globe. He has worked at Forbes, LinkedIn, and Entrepreneur. Close.io provides an inside sales CRM catered to small and medium-sized businesses and startups. 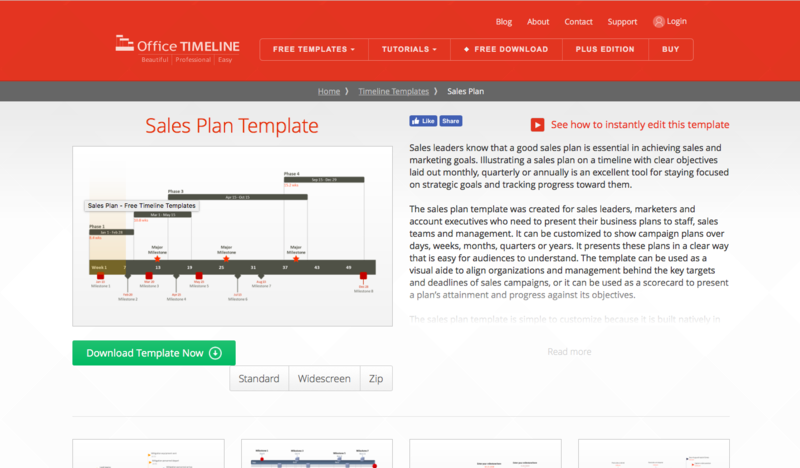 Offers a customizable sales forecast template, funnel template, sales tracker and report templates, sales email templates, etc. Smartsheet provides a software as a service (SaaS) platform for automating and organizing collaborative work. It is used by 65,000 brands and millions of information workers and has received awards from Forbes, Microsoft Office, G Suite, Geekwire, and DocuSign. 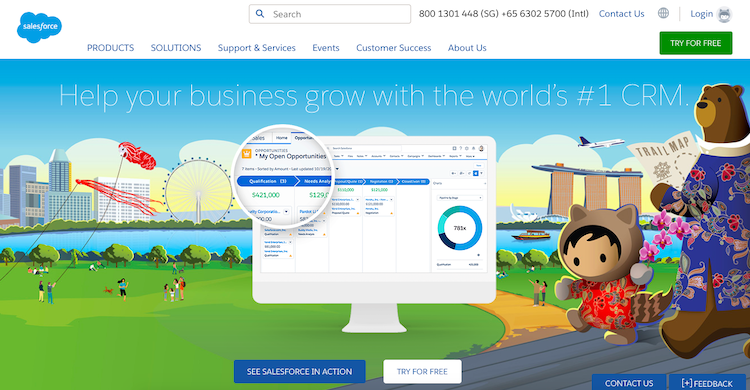 Office Timeline has 500,000+ professional users in enterprises across the globe, and offers award-winning software. The company is accredited by and received an A+ rating from the Better Business Bureau. TidyForm.com comprises of software engineers, web developers, and editors who select and organize templates, samples, and forms in the fields of business, personal finance, law, tax, and more. 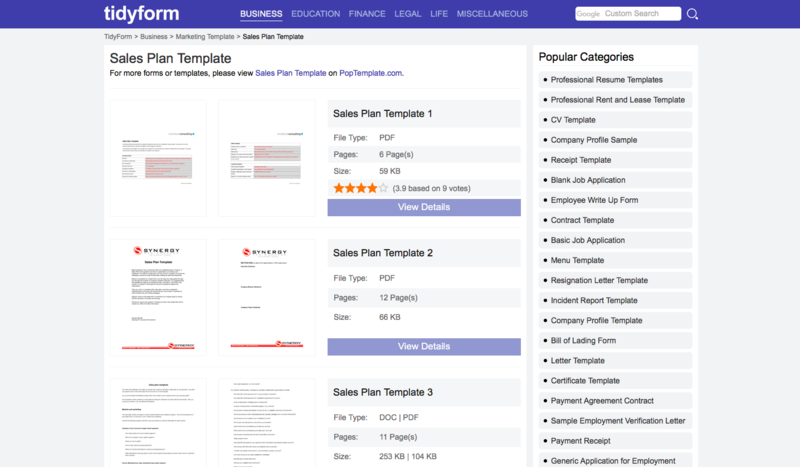 Tidy Form’s business templates are recommended by Small Business Trends, an online publication that has won awards for providing resources, suggestions, and news for entrepreneurs, small business proprietors, and other stakeholders. It consists of hundreds of experts who contribute to its services. Got the templates but still stuck on how to start? Check out this blog on 9 Tips For Developing Your 2017 Sales And Marketing Strategy. Now that you have a robust sales strategy, start selling! And sign up for Woveon to maximize your sales! 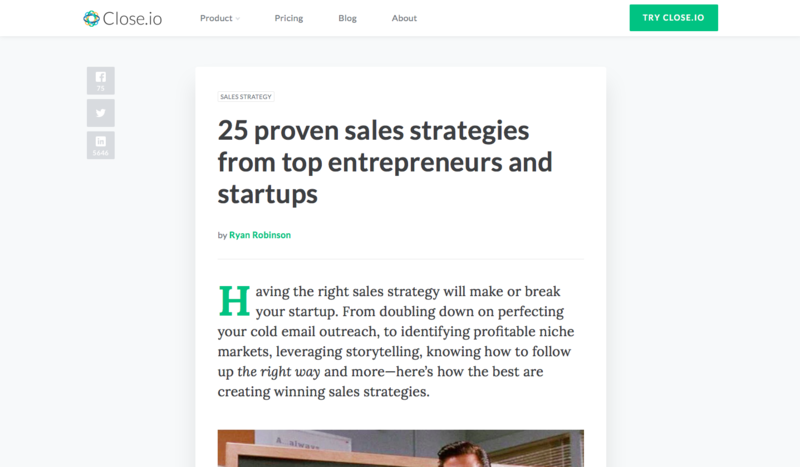 https://www.woveon.com/wp-content/uploads/2018/07/sales-strategy-templates-you-need.png 480 640 David Dinh https://www.woveon.com/wp-content/uploads/2018/05/WebLogoBlack@600px-300x89.png David Dinh2018-05-24 08:46:152019-04-16 08:49:197 Sales Strategy Templates You Wish You Had Earlier! If you’re looking for tips to convert your demand generation campaigns into paying customers, you came to the right place. All businesses must use different marketing and demand generation strategies to help build leads online, but generating leads should not be the only goal. If you’re unable to convert your leads into customers, then you are losing out and will not be able to complete sales. The business therefore, relies on marketers to come up with effective demand generation strategies that provide them with high quality leads. The leads a business acquires are only valuable if they turn into sales for the brand. That is why it is imperative that the business pays importance to the marketing aspect, and gets the sales process properly done. This will help them accomplish greater sales after generating valuable leads. It is important that you take advantage of data to understand the entire process of converting online leads and getting customers for your brand. This is why so many businesses spend on customer management, customer channel and data collection tools, because it allows them to easily funnel all the customers from multiple campaigns and convert leads into sales. By having accurate data available you can easily focus your attention on reaching out to people with the highest chances of becoming long-term customers of the business. This is where most marketing and sales campaigns fail, because they don’t give the data great importance to separating customer channels and fail to assess how it will help them out. Don’t fall into the same trap, and make channel management and data a crucial part of all sales meetings, so that everyone understands and can interpret what is converting, where the customers are coming from and how long it is taking to onboard them. Once you have attracted the customers to your campaign, you need to move fast, because the longer you wait, the greater the chances that you will lose out – managing the customer response times. Faster response times will generate more demand to your campaign. There is no point in delaying a good lead, because if you don’t reach out to them in time, someone else from your industry will. That is why it is important that any decision you take must be fast, so that you can easily convert leads. Reaching out to leads quickly also convinces customers that they are working with a business that is reliable and serious about working with them. This builds customer relationships and greatly increases the chances of the leads converting into sales. Identify and open up multiple channels for leads to come back and reach out. Also find out where they are talking to manage the conversations effectively. When you’re reaching out to a new lead, and don’t get a good response, you shouldn’t give up on them. This is critical if you want to learn advanced demand generation strategies. Here’s a 3 step formula for writing brilliant email marketing subject lines that gets you through the door. Make sure that you reach out to them again, by sending them an email or calling them some other time so that you get the chance to talk with them. This will help increase your chances of communicating with as many high-quality leads as possible and help you convert the maximum number of customers for your business. Demand generation relies on being able to reach out to customers on what ever platform the customer is familiar with. Another great demand generation strategy is by qualifying your leads separately, and setting them apart in different categories. This will allow you to have a detailed breakdown of leads from different communication channels that you can work with and the ones that you need to let go. Mark them as high quality leads and leads that you can move past, because this is how you will advance. This helps you save time and ensure that you only work on sales-quality leads and have the right conversations with the right customers. It drastically improves your demand generation chances, and ensures that you can build strong customer relationships. Qualifying leads is a strong tactic, and one that will allow you to properly funnel leads to convert them into sales. There is also a reduced risk of losing out on valuable clients, because you already have the information needed to convert them into sales. There will be no point in adopting any demand generation strategy if you don’t have a structured sales team. You need to ensure that your sales team not only manages relationships with existing clients, but is also able to convert new leads. This will help make things easier for you, because you will now be able to balance out the requirements and target customers effectively. You should divide your sales teams so that one is focused on dealing with existing clients, while the other team handles the conversion of new leads. Having this kind of structure in your sales team will ensure that you don’t lose out on customers, and bring in new business as well. This can be achieved through a multi-channel conversation framework. If you plan your work properly, and structure your sales team, while using data carefully, then you will be able to greatly improve your chances of converting online leads from multiple channels. Remember that you need to stay in touch on various social, sms, phone, emails and chat platforms with your customers, and follow up with the right conversations, resulting in a successful sales funnel.